Aside from managing Club Fonograma, I also have some administrative duties with the ACLM (La Asociación de Críticos en Línea de México), a selective group of film critics, bloggers, scholars & cinephiles that every year, celebrates Mexican cinema. The Academy Awards are fooling you, Biutiful was not the best Mexican film of 2010, actually, I'm not convinced it's a good film at all. But as always, we recognize every democratic organization for what it's worth (and it's a matter of taste after all). Out of the 44 Mexican commercial releases, the ACLM highlights Michael Rowe's first film Año Bisiesto, as the year's authentic cinematic treasure. The film produced by Machete Producciones & IMCINE, also took the recognitions for Directing, Debut Film, Actress (Monica del Carmen), Sound and Original Song. 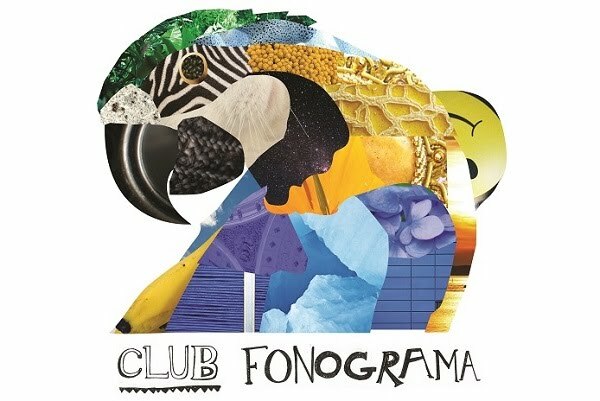 This last prize is particularly exciting as it went to Club Fonograma-favorite Afrodita, who battled out the category with the likes of Julieta Venegas (Abel), Hello Seahorse! 's LoBlondo (Hidalgo) and Pare de Sufrir w/ Ruben Albarran (Los Ultimos Heroes de la Peninsula). Previous winners in this category include Emmanuel del Real, Chetes, and Devendra Banhart. Full list of winners, HERE. MP3: Emilio José - "Febreiro"
Featured: Bam Bam - "Ragatrón"
Video: Bedroom - "Els Nens Soldat"
MP3: ... al cruzar la calle - "Asuntos Internos"
Video: El Columpio Asesino - "Toro"
Video: Joe Crepúsculo - "Tus Cosas Buenas"
Video: Kanaku & El Tigre - "Caracoles"
MP3: Yellow Yesterday - "Y Es Así"
MP3: Vírgenes Violadoras - "Calles de Fuego Azul"
Video: Joe Volume & The Shot o'Clock - "Oh Lord!" MP3: DeMentira feat. Fakuta - "Día y Hora"
Video: La Bien Querida - "Hoy"
New Single: Los Macuanos - "Ritmo de Amor"
Video: Yo! Linares - "Cocktail"
Video: Armoniacida - "Amor Caribe"
Video: Matias Aguayo - "Ritmo Juarez"
Quiero Club - "Qué hacer en caso de oír voces"
MP3: Matilda Manzana - "Hojarazca"
Video: Juan Cirerol - "Toque y Rol"